One of the most visited monuments in Rome is the Pantheon, an architectural wonder that stands strong since ancient Roman times. Why was it built? 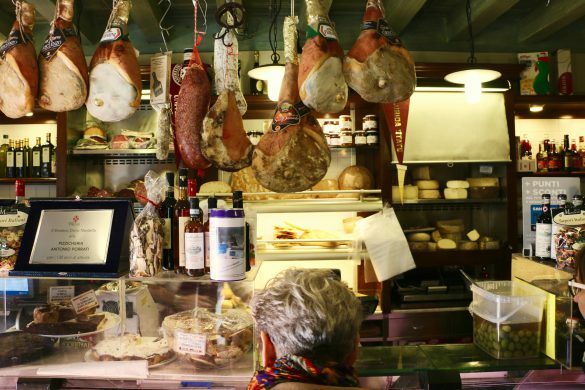 Read about why the Eternal City’s best-preserved monument is so celebrated. Here is the story of the Pantheon in Rome. Headed to Rome? Let us curate your sightseeing! We offer bestselling Rome tours of the Vatican, Colosseum, Catacombs, the best foodie neighborhoods and more. Let a local, English-speaking guide take care of the navigation and tickets for you. After all, we’re the Italy experts. If you don’t read Latin, this means “Marcus Agrippa, son of Lucius, made [this building] when consul for the third time”. Marcus Agrippa, general of the Roman legions, was Emperor Octavian Augustus’s best buddy. However, it’s important to note that what we see today is the reconstruction done by Emperor Hadrian around 120 A.D. This means that the Pantheon in Rome (as we see it now) is almost 19 centuries old! Why is it Called the Pantheon? 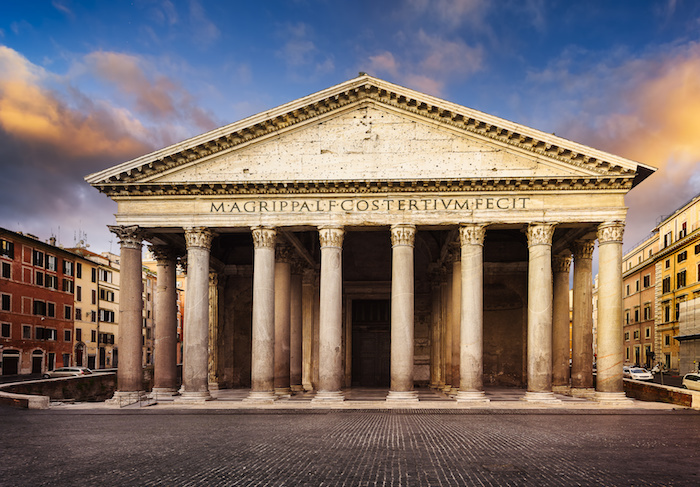 The mystical name of the Pantheon in Rome derives from the Greek adjective that means “honor all gods”. 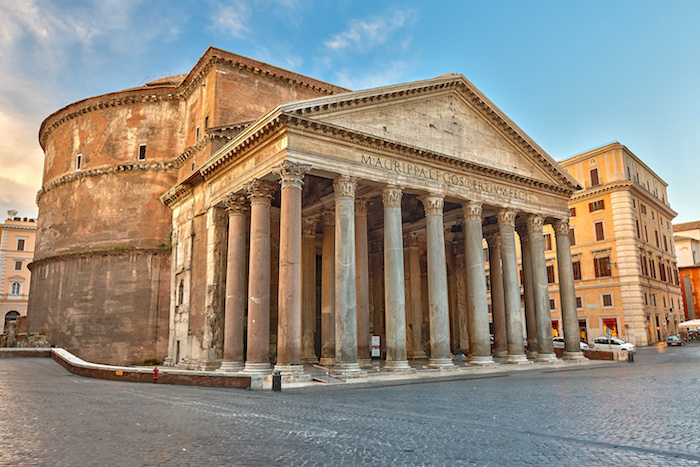 In fact, the Pantheon was built as a temple dedicated to the worship of Pagan Roman gods. In 609 A.D., Pope Boniface IV and emperor Phocas converted it into the Christian church we see nowadays. These days, the Pantheon in Rome currently conducts Mass on Saturdays and Sundays. And so, if you’d like to attend mass at the Pantheon, check out the info here. To begin with, let’s start with the exterior of the Pantheon in Rome. Its portico is built in the Greek style; Emperor Hadrian was a Grecophile. The columns, hard to miss, stand 40 feet high and are five feet in diameter. It’s true, gazing at the facade of the building will give you shivers, but wait until you see what’s on the inside. The Pantheon is considered a rotunda, a circular drum structure. Perfect mathematically, the Pantheon’s dome has an opening in the center. To put it in numbers, the sphere’s height is equal to the radius, and is 43.3 meters (142ft). In fact, the Pantheon in Rome still holds the world record for having the largest unsupported concrete dome. Interior of Rome Pantheon with the famous ray of light from the top. Unesco world heritage site. The opening in the center is known as the oculus or “eye” in Latin. Despite its religious symbolism as the “window to the other world”, the purpose of the opening is of extreme importance for the engineering and stability of the Pantheon. Also, the Oculus is the only source of natural light in the building. 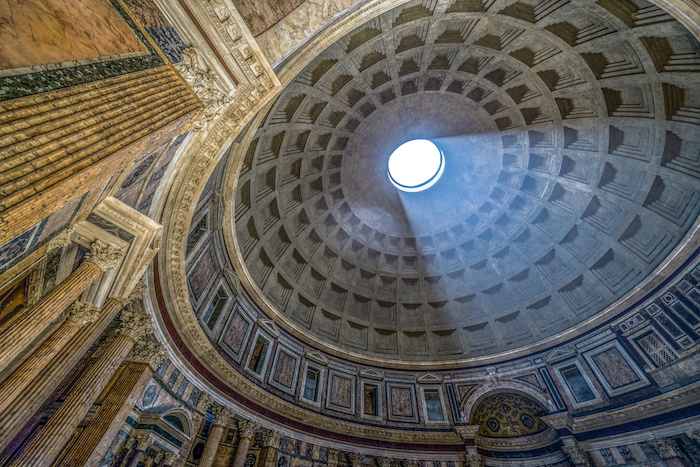 On April 21st at noon (Rome’s birthday), when the sun is at the equinox, a beam of sunlight enters through the Pantheon’s Oculus and exits through the grille above the entrance gate. As a result, the light passes through the grille and lights up a courtyard. To put into perspective how mind-blowing this is, think about how the ancient Romans built the Pantheon to create this effect 2,000 years ago. When entering the building from the portico outside, you can’t see the original bronze decorations above the pillars. This is because the great Lorenzo used the material to create the Baldacchino in St. Peter’s Basilica. In addition to it’s importance in ancient Rome, the Pantheon in Rome is home to important tombs. In fact, the great Italian painter and architect Raphael rests here. The inscription on his crypt translates to “In life, Nature feared to be outdone by him. In death, she feared too she would die.” As epitaphs go, it’s not bad! If you’re wondering “if the Pantheon is free?”, you’ll be happy to know that there’s no need to buy Pantheon Rome tickets. That’s right, there’s no admission charge to enter. And while it probably won’t take you very long to look around, it’s probably a good idea to consider renting an audio guide at the desk near the entrance to make the most of your visit. If you’d like to visit the Pantheon, consider an e-bike Rome tour that includes this incredible site, in addition to most of the other major attractions in Rome. Where is the Pantheon in Rome? Located in the heart of the historical center of Rome, the Pantheon is located in the Piazza della Rotunda. 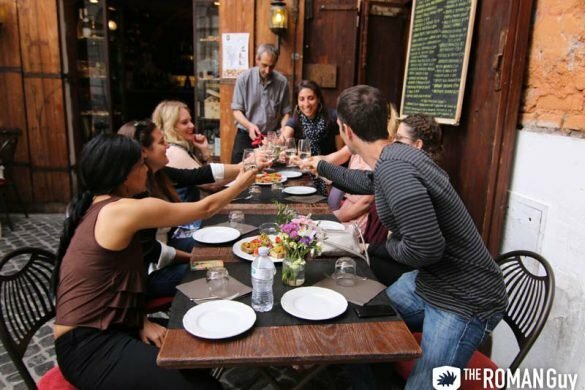 Conveniently located near the other major sightseeing attractions in the Eternal City, the Pantheon is situated near plenty of restaurants, cafes, bars and places to hang out. In fact, the Piazza della Rotonda gets its name from the Pantheon’s informal title: “the church of Santa Maria Rotonda”. Opening Hours: Mon–Sat 9a.m. – 7:15p.m. and Sun 9a.m. –12:45p.m. 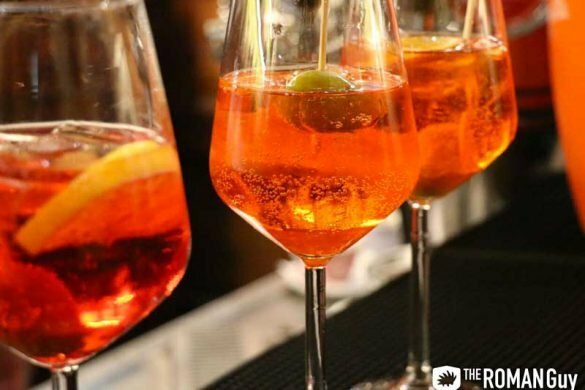 If you want us to arrange the entertainment in Rome (and beyond), contact our Trip Planning Team to coordinate an unforgettable Italian experience. The Roman Guy was his name and Italian history and culture was his game. Now no longer a one (or two) man band, The Roman Guy is made up of a small team of Italy-loving and eager to please individuals. Together, we work to make sure that your time spent with us here in Italy is nothing but perfect by sharing ideas of new ways to visit and explore ancient sites! We even offer cool VIP Rome Tours including Colosseum Tours, Vatican Tours and Rome Food Tours!